In the documentary film Hope(less)? 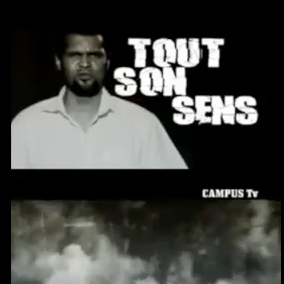 Biographies of radicalization, produced by Voice4Thought, we follow two researchers who, in their turn, follow people who live(d) through long periods of violence, conflict and hardship in Chad and Mali. The stories they encounter are stories of lost hopes, of feelings of being misunderstood, and of radicalization in multiple ways. The two stories of the researchers show how working on such stories also influences their positions, and finally radicalizes their positions. This film tells the story of the process of radicalization. However, it is mostly a reflection on this process, and how it is an almost inevitable outcome of an unjust world. It raises questions such as: Is it possible to keep distance from the stories when you study them? How do you reflect on the suffering you see? And how does this influence their work and the decisions they take? What do these stories tell us about political interventions in radicalization processes? The film will be followed by a discussion. The discussion is moderated by Prof. Mahaman Tidjani Aliou, Professor of Political Science at the University Abdou Moumouni in Niamey, Niger. This event is jointly organized by Voice4Thought and the Connecting in Times of Duress project. This event will take place in the The Hague Humanity Hub.